Last updated 16 November 2011. Welcome to listen to some of my audio recording during 2011! 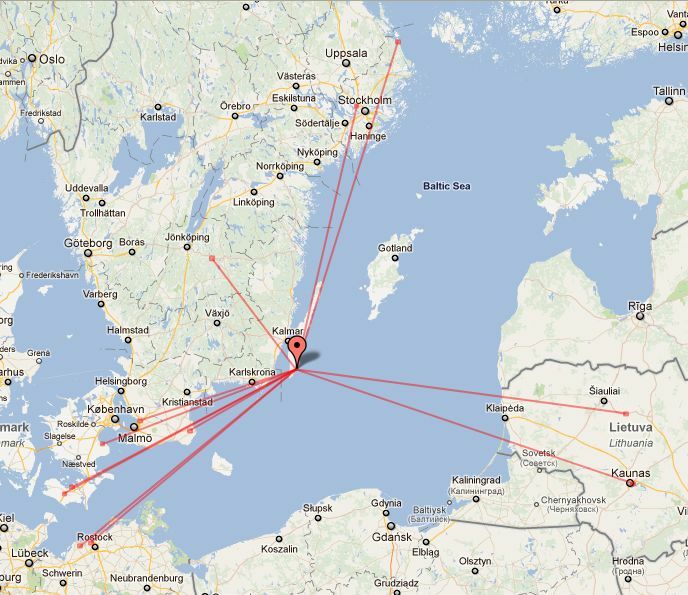 During our National Day here in SM (6 June) I was still on my remote QTH on Öland and enjoy the nice sunny wx. 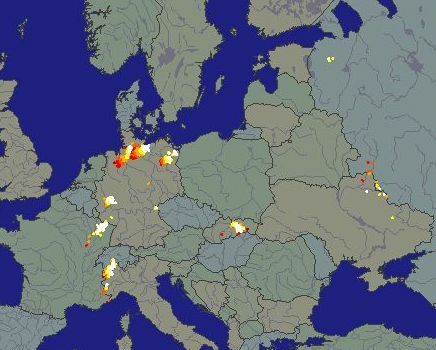 Sometime I checked the wx map for good rain scatter. 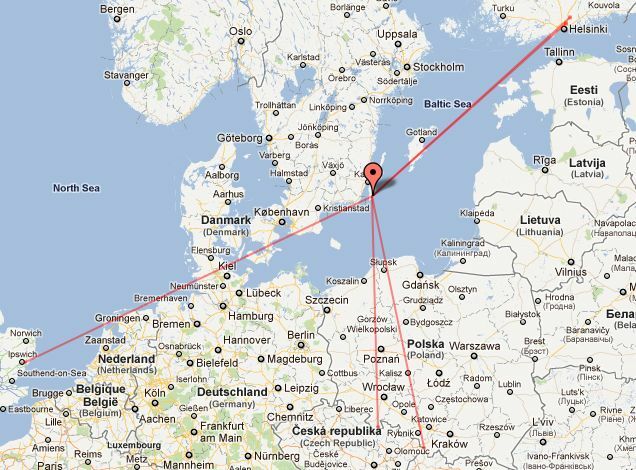 Then one time I found something interesting and got Michael/DB6NT on 3cm and we worked a nice QSO. Some more stations followed and I was very happy. Sorry, no recodings was done. 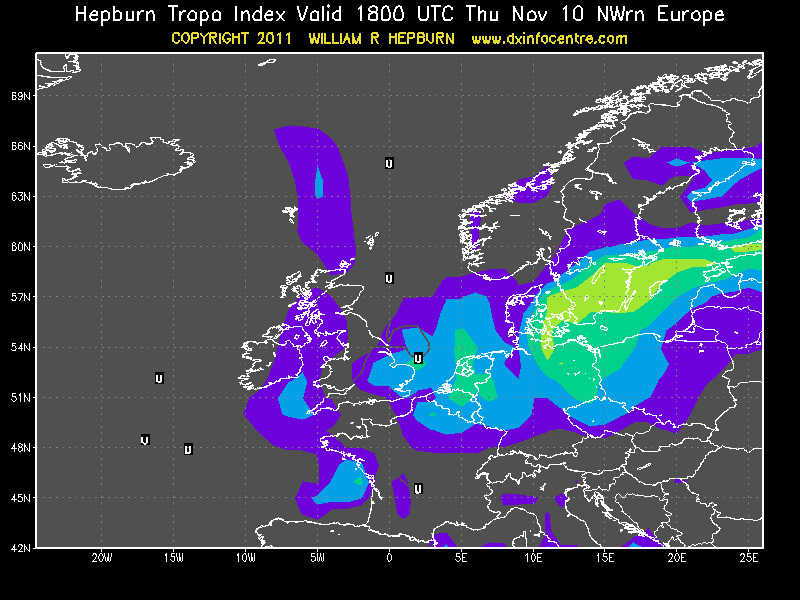 During this NAC microwave contest I worked Kaliningrad UA2 as the first SM-station on 3cm tropo. He called on ON4KST and asked for sked and then I easy worked him with very nice signals. I noted that several OZ station worked him also during that evening. Worked some QSO during REG 1 VHF and up contest. 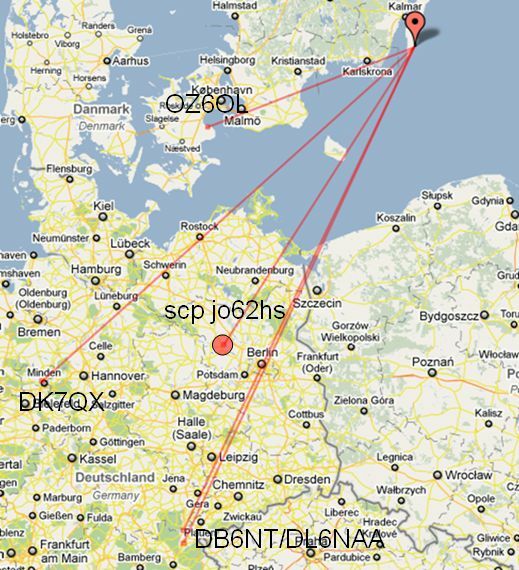 Didn't have so much time over for the contest but made some nice QSO during Sunday morningvia airplane scatter. Else no conds this weekend. 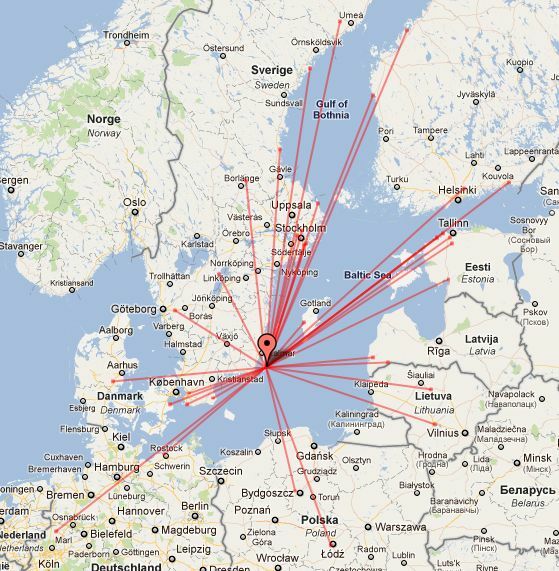 Nice conds during the July part of the NAC 23cm contest. 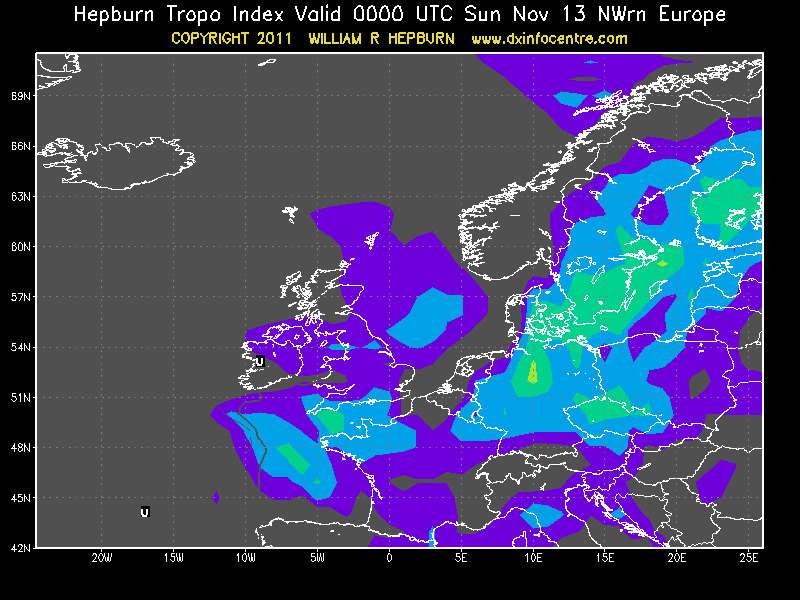 Worked several nice tropo QSO over the Baltic Sea towards ES, OH and SM2. During this evening I worked my first SM2-station on 23cm so now I have worked all SM areas on 23cm. I toke only 7 year of operation with my remote station to finally get conds to SM2! 2011-07-19 2049 SM2RIX JP93VU 1G3 858 My first SM2-stn! 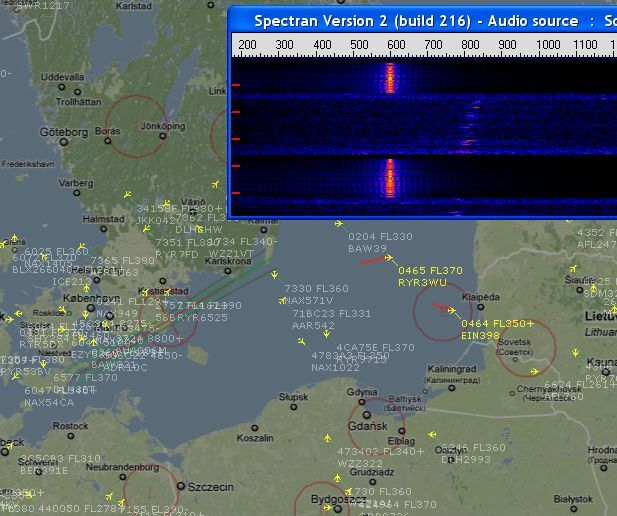 is for 19 July at 06.00Z. Very different to the last NAC 23cm contest. 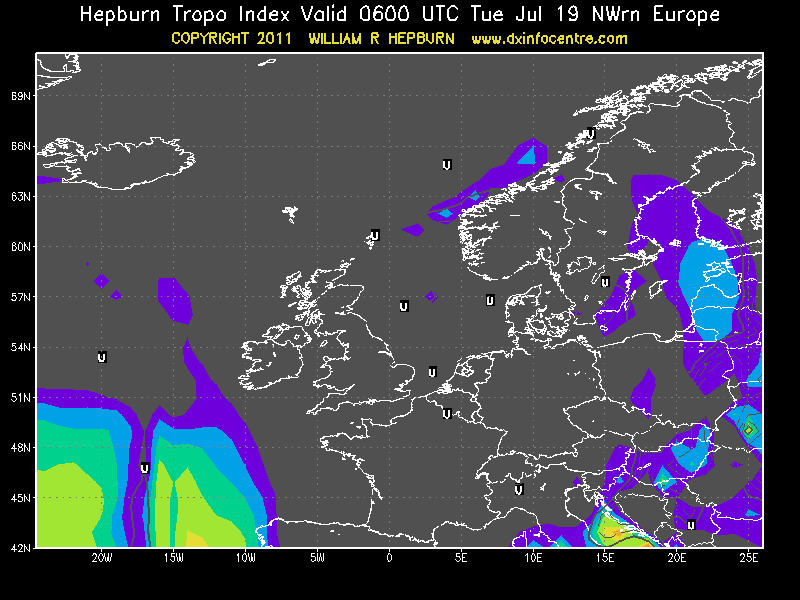 Seem no tropo conds over Baltic Sea this evening. 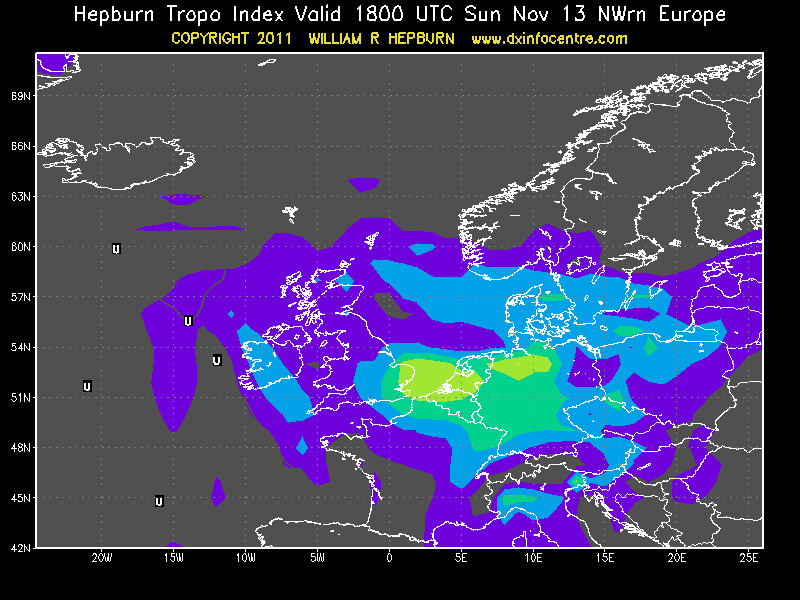 Some short distance QSO when well via the bad tropo conds. 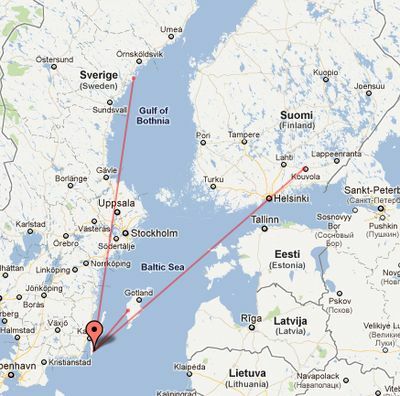 Else all QSo needed help from airplane to be completed. One highlight was that DJ1LP came thought very nice on 3cm in the late evening. 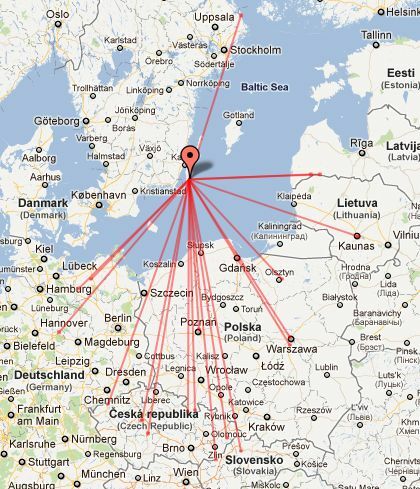 Many tries with SM7ECM on 3cm but no QSO. Heard him weak but able to copy him. But my signal was to weak at his site to be readable. That tell me I need to make something on my station. Improve the 3cm station and also make better clear view for my antenna over all trees, but that will no be an easy task. 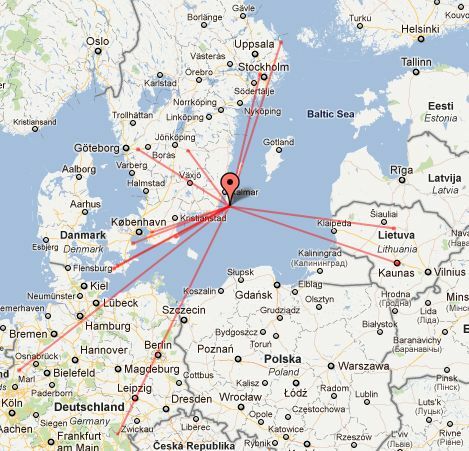 This evening I heard the OH6SHF beacon in KP13GM (868 km) and also the SK0UHG beacon in JO99BM (369 km, new location of beacon). 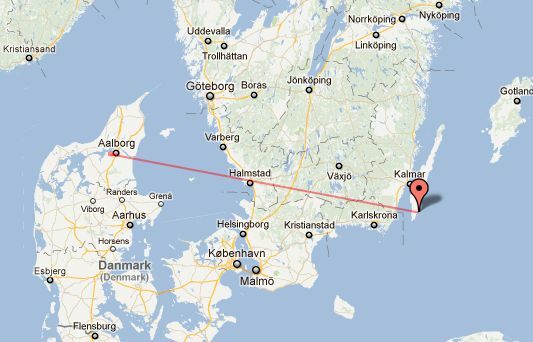 The ES0SHF in KO18DN (426 km) was only 519. The ES0SHF will normally be 599++++ when there is conds towards OH. 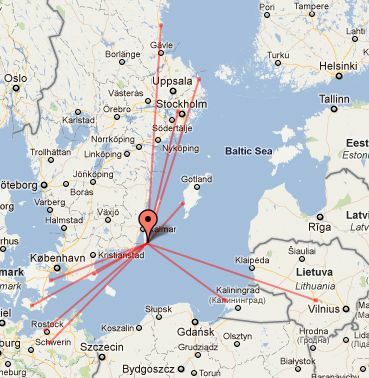 Tried QSO with OH5LK in KP30ON (779 km) but NIL. Normal because the ES0SHF beacon was so weak eg no conds. 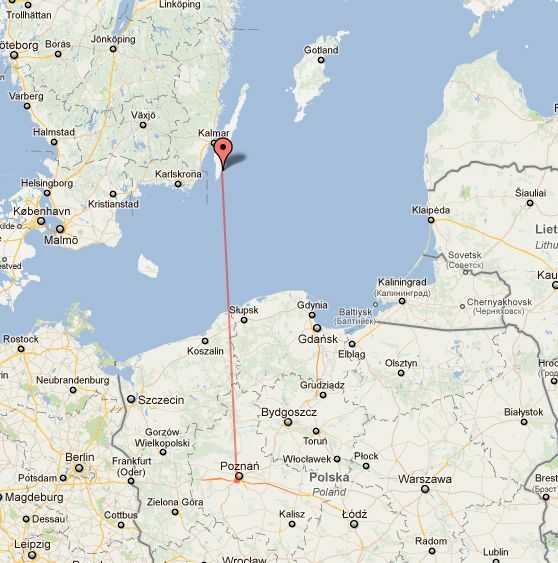 But also tried with OH6KTK in KP02OJ (726 km) in same direction as OH6SHF but NIL! 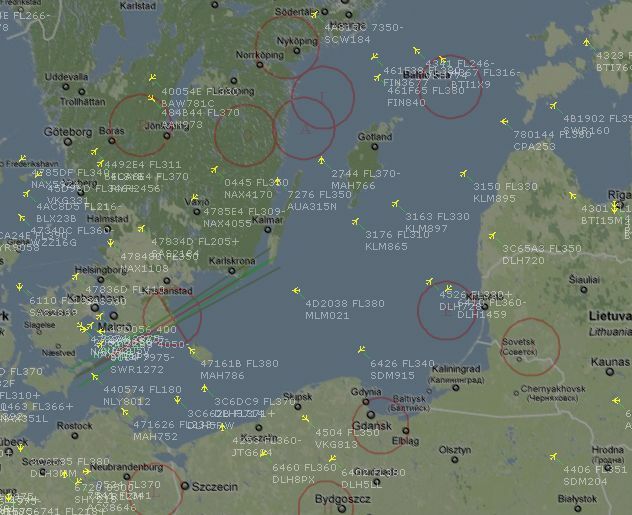 Confused because OH6 beacons in same direction was strong but you can never believe how conds will be on the path! Worked a new square on 3cm this day. Got a call from SQ3FYK in JO82KI via ON4KST and after some test we made a nice CW QSO via rain scatter. QSO via rain scatter on direct path direction. 2011-08-05 1504 SQ3FYK    JO82KI  10G  441  New square! When got home I found some nice rain scatter possibilities on the weather map so I started the station before NAC microwave contest to see if there was any stations QRV. Bad that the contest didn't start one hour earlier this evening! 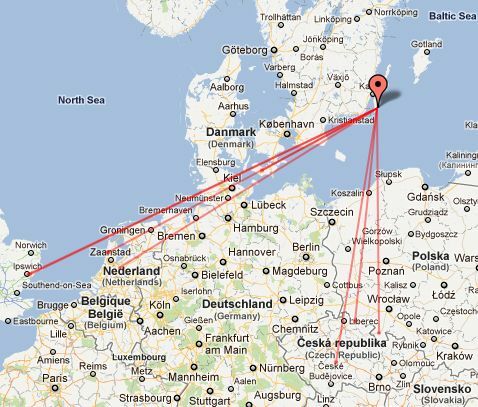 started with sked with DB6NT and after him followed DL6NAA and DL7YC, nice and fun! 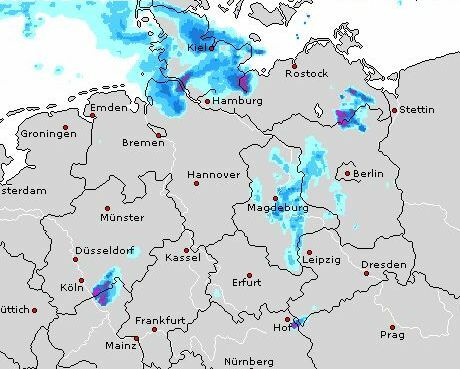 This was towards the scp north of Berlin. 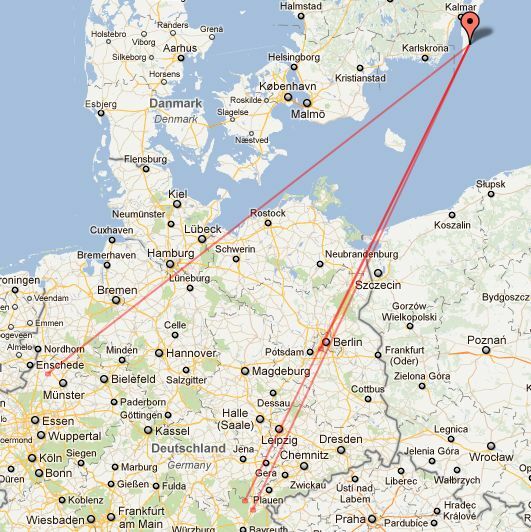 I changed to the other scp east of Hamburg and tested first with DB6NT but nil signals. Then I found DJ6JJ on the same QRG and after some time we worked a nice RS QSO which today is my second longest RS QSO. Thanks all for being QRV! When it was time for NAC contest the rain scatter have changed to not be so good anymore. Nice that I worked some nice QSo before contest so I got some nice QSO on RS this evening! But luckily there was still good so I could work DJ6JJ and DB6NT again. 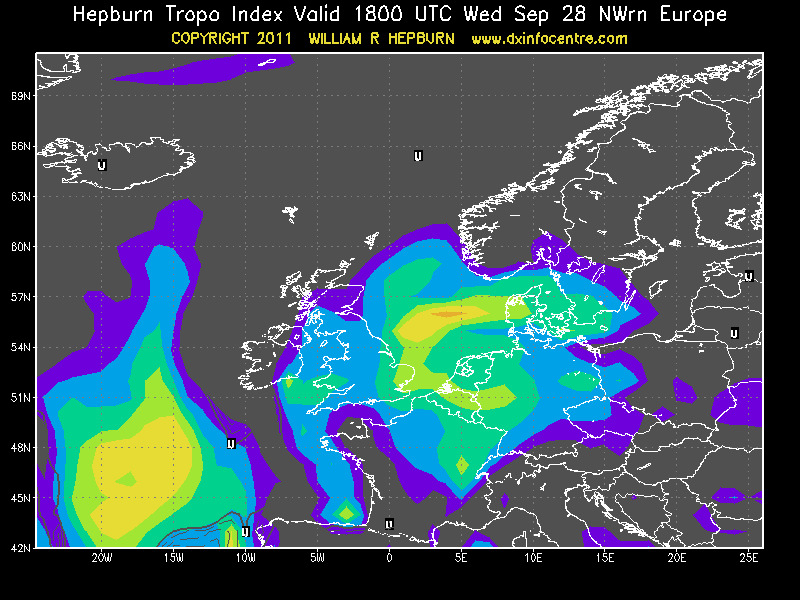 I heard SM7ECM loud when he worked DJ6JJ but we didn't finish any QSO via RS this evening, instead the tropo worked quit easy! 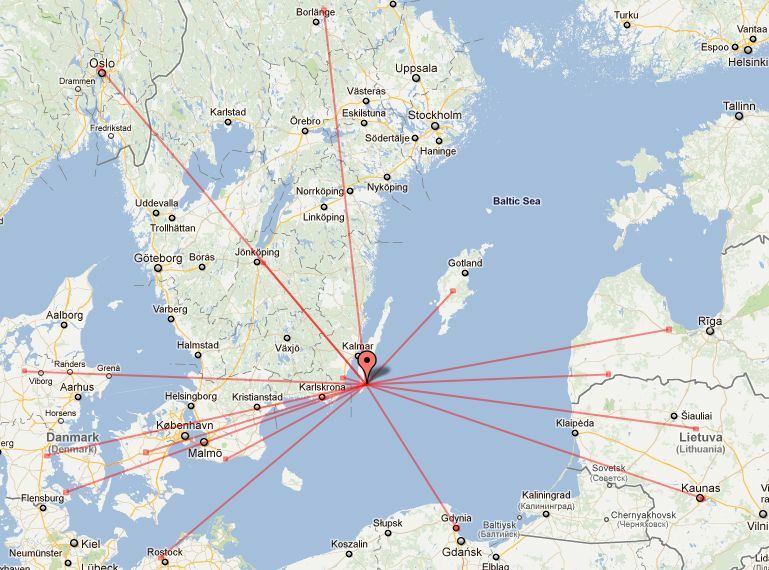 Rest of the contest is normal QSO with help of all airplanes in the air, without them we will have problems. 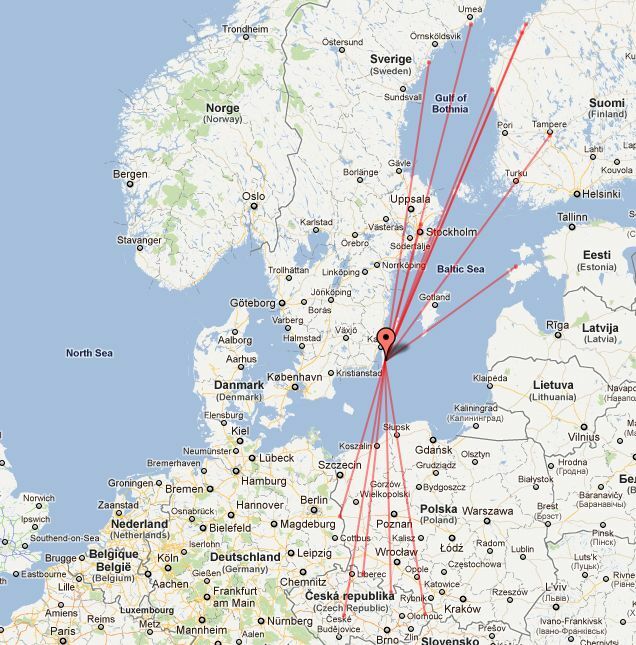 Nice with a new station on 9cm with a QSO with Torben/OZ3ZW, welcome on the band! 2011-08-23 1850 OZ3ZW JO54RS 3.4G 363 First qso 9cm. No big activity this evening with my small station. Still I only have 2 Watt into a 6 element yagi. No preamp some about 10 dB of attenuation in front of my IC-706. 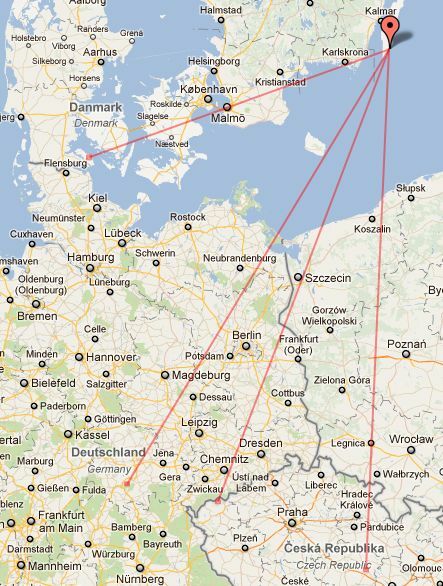 But I worked 5 DXCC in 5 squares on my 5 QSO. Well I for sure can have worked more station if I have give more time to handle the contest. But nice with OK1RI in log. 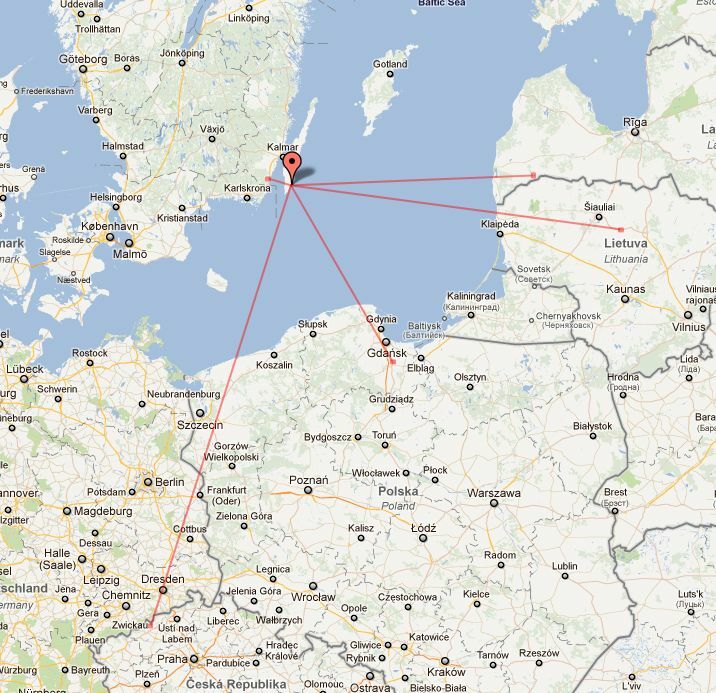 The story behind this QSO is that I left the station on about 144.074 MHz CW with antenna pointing to SM3 (350 deg). For a hour or so I heard a station working QSO there. Finally I decided to listen how it could be. The station was weak but after some time I found out that is was an OK-station calling CQ. So I have to turn the antenna into another direction (200 deg). When the station was easy readable and after some calling we have made a nice random QSO with my small station. These small things makes radio fun! Only one recording this evening... guess how is on that? 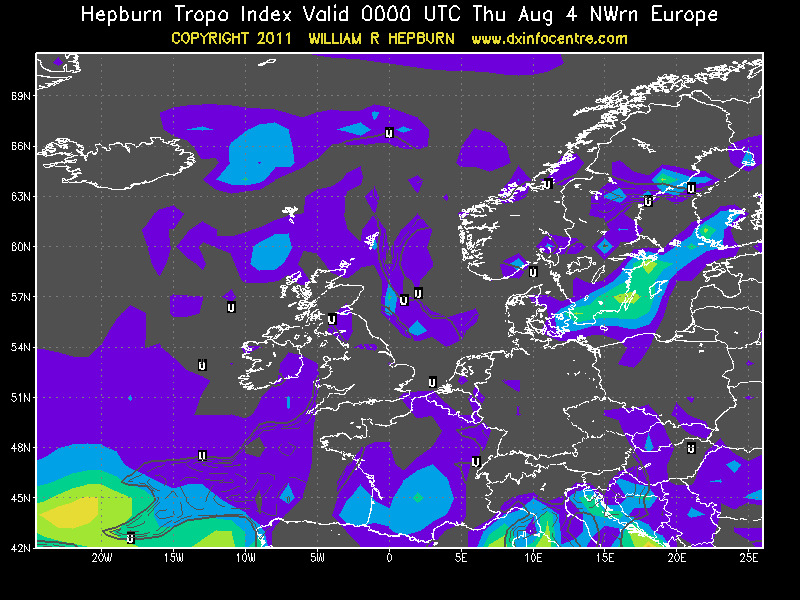 Nice propagation forecast on Hepburn but small signals on the bands with very few DX-spots. Peter/OZ9PP wanted to try 13cm so why not try? But he didn't read me on 13cm. But JO47 is needed on all bands so we tried on 23cm ant there we made a nice but weak QSO (from my side) with weak receive of his signals, maybe I need a better preamp soon. But thanks Peter for square #125 on 23cm (JO47). 2011-09-28 1821 OZ9PP     JO47VA  1.3G 420  #125! During this weekend there is many activitys on Öland Island so we drive down to Öland Friday 12 local time and started with south Öland art night (Södra Ölands konstnatt). It starts at 19 local time and end about 03 local time in the night. Long and nice day. During Saturday and Sunday is the Öland harvest festival (Ölands skördefest) so some activity on this also. Then there we have the garden which also need some attention. And in some spare time I enjoyed the IARU UFH/Microwave contest on 23cm, 13cm, 9cm and 3cm. Conds was supposed to be above normal and during Saturday evening I worked several nice and easy QSO to the south. But I got to bed early and sleeped over the nice morning conds during Sunday morning. But I needed the sleep so I late Sunday could drive back to Stockholm (6 hours drive) and back home at 02 local time Monday morning. On 23cm it worked quit nice but I see I need more output power then my today 50W (30W in antenna). For 13cm I really need a preamp because all signals is always very weak on this band. For 9cm I want to move the preamp closer to the feed point and get a better TX coax. The same for 3cm. Hum a lot of work to be done sometimes but thanks all for the nice QSO and hope for more soon. 2011-10-01 2054 SM0DFP    JP90JC  10G  442  The only 3cm QSO! 2011-10-02 0816 OL9W      JN99CL  2.3G 768  New # number 40! 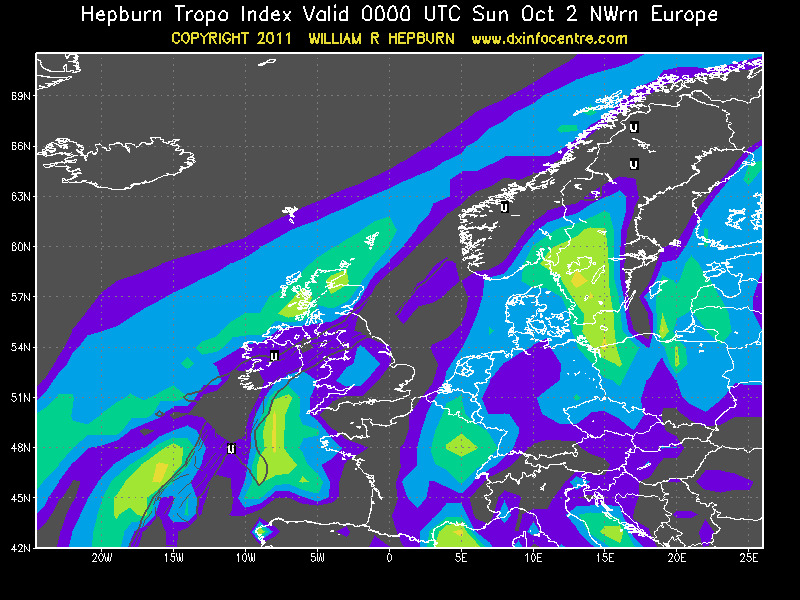 During the weekend 16-17 of October it seems to been good conds at least on 2m. How about microwave bands I don't know because I was away running JOTA activity for Solna scoutkår. I have my remote setup with me but the network connection as to bad for any attempt to start up my station. During 24-25 of October there were some hope for conds towards OH but from my QTH it was only very weak conds as you will hear on the recording below. No QSO was completed so there is only recordings during an attempt on 9cm with OH2AXH. I thing that we maybe have made QSO it working CW. Day after during the NAC microwave contest I was QRV but not very active. More or less only worked station when they asked for sked on ON4KST. So no recording was done and therefore no information about it in this summary. Only beacons on the map. 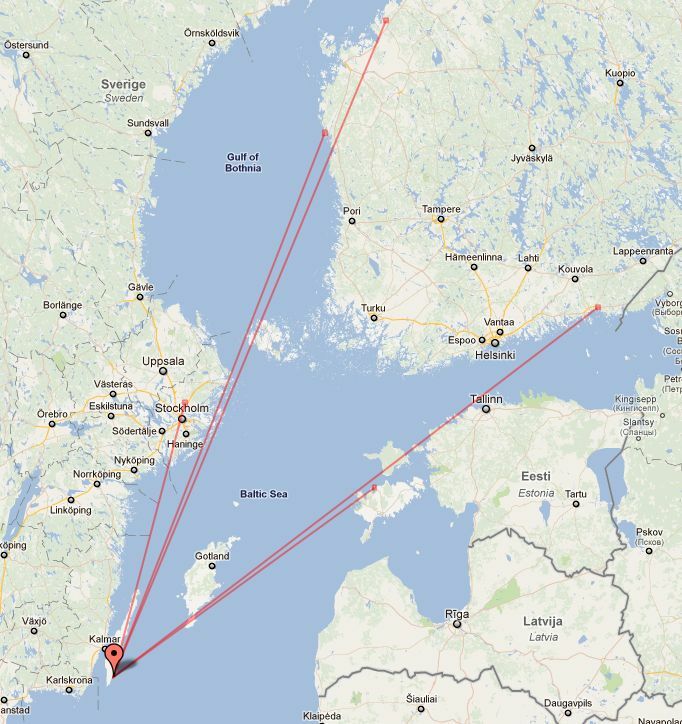 I enjoyed the November part of the NAC 2 meter contest with my QRPP station. Well QRPP? I have about 20 W out of my IC-706MKII and more then 10 dB of coaxial attenuation to my antenna a 6 element yagi e.g. then about 2 W into the antenna and I think that's QRPP. But with this station I worked 16 QSO in 16 squares and about 13600 points. For sure there were some more station that I could have worked but I spent a lot of time looking for any OH-station but didn't find anyone this evening, which was a bit of disappointment this evening. Better surprise was when I was searching on CW-part (I mostly search there) and find LA0BY calling CQ. I had the antenna towards OZ so adjusted it towards LA0BY and called him and he came back, that was a surprise! It was easier to work LA with 2W/6el on 2m then 50W/2m-dish on 23cm. Worked only two QSO on SSB and to OZ stations in SSB/CW QSO. One was with OZ5W and nice to hear Palle on the air. Many years since I worked him on 6 meter NAC contest as SM5LCB, it's more then 13 years ago I was QRV on 6 meter as SM5LCB. Well a nice evening but didn't do any recording which a was a mistake. I was in the middle point. Fun for them but bit annoying for me. One new square on 3.4 GHz, thanks OH2AXH! 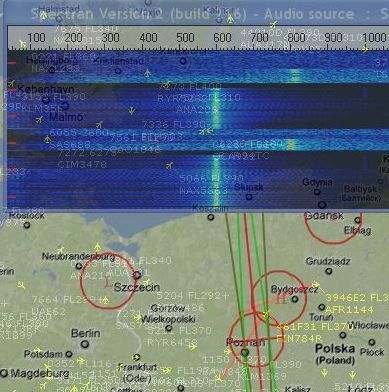 2011-11-12 2119 OH6SHF   KP13GM  2.3G CW   868  beacon first! thanks for this new beacon! Nice to get OH6NVQ on random QSO. One new square on 3.4 GHz, thanks OK1MAC! direction and nothing in other directions. 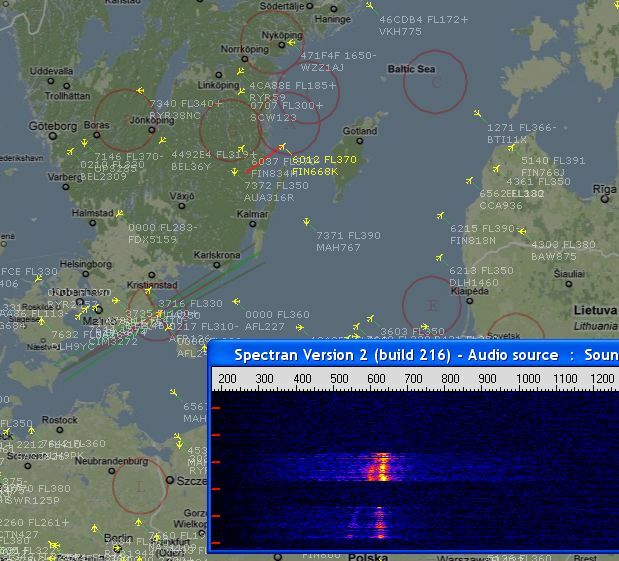 Thanks all beacon keeper for all beacons on the air!